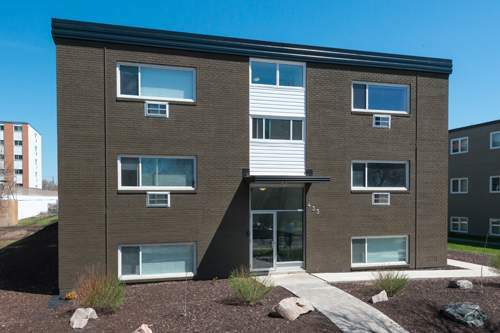 Edison Plaza on 433 Edison Avenue is a wonderful renovated apartment complex located in the North-Kildonan area. The Kildonan community is known for their green spaces, scenic walking paths and bike trails along the river. With family-friendly restaurants, local shops, and gorgeous parks nearby. This newly renovated building is in a clean, quiet neighborhood in North Kildonan. Each suite has been beautifully remodeled throughout with a beautiful kitchen and bathroom with modern finishes, stainless steel appliances including dishwasher, energy efficient windows and blind, refinished hardwood and vinyl plank wood flooring, modern ceiling fan and air conditioning unit. This building also offers on-site laundry and fitness facility. This apartment building is a cat and a small dog-friendly building.